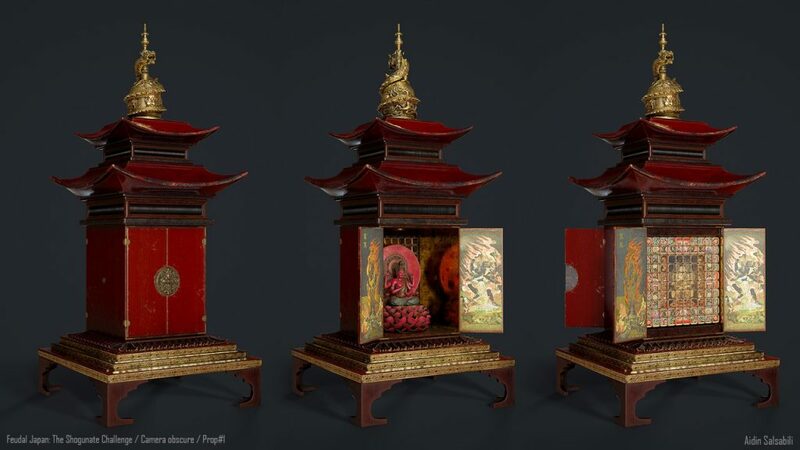 For the Prop Art category of the Feudal Japan Challenge, the brave entrants were given the task of creating 3 fully rendered props for a Feudal Japanese scene and were judged on both their creative details and functionality. 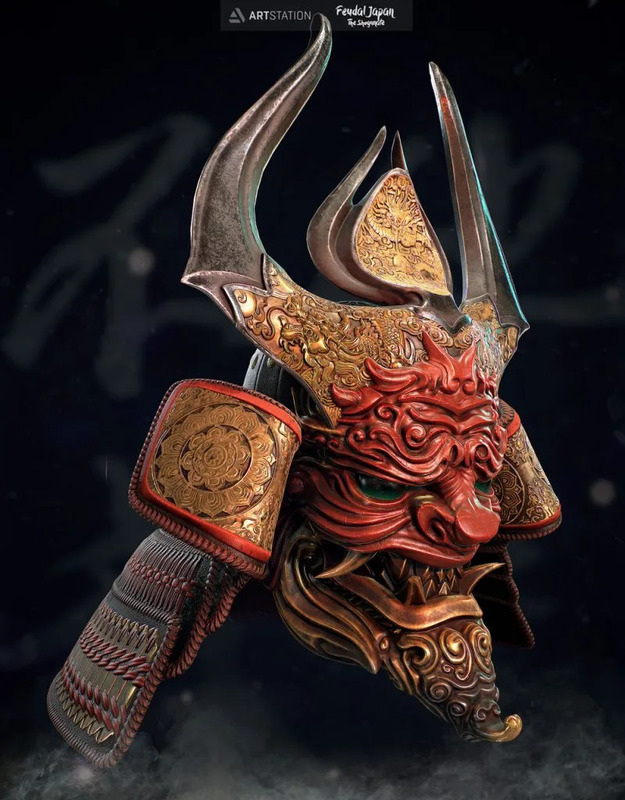 Browse all Prop Art submissions from the Feudal Japan Challenge. In this interview, the winners Adam Nield, Doru Bogdan and Aidin Salsabili share how they wowed the judges and created the submissions that set them apart. Tell us about your concept for your props. Adam: The process of choosing what to make was usually one of the hardest parts of the project – doing the work was fairly straightforward but actually finding something that I felt personally invested in was a huge task. 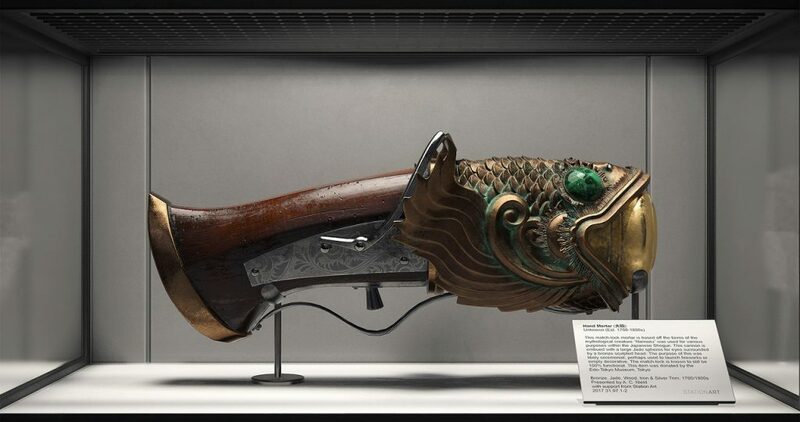 The Fish cannon originally came from a concept by Jens Fiedler. I loved the idea but I wasn’t feeling demon head on the original image. I saw that he’d done some small thumbnail sketches and one of them involved a fat barrelled gun involving a koi pattern. Something about that really sparked my imagination and the idea to try and develop it further. The second design was inspired by Boleadoras and the reference images I used were very similar to the final product – the biggest difficulty on this part was incorporating more Japanese elements. 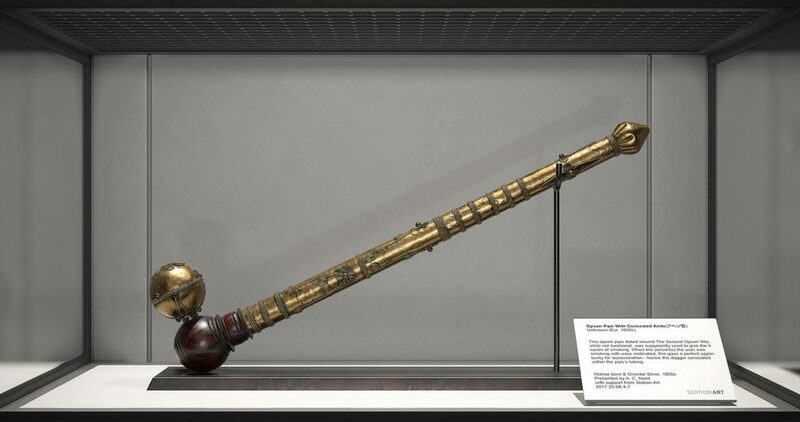 The Opium pipe was straight up referenced from a real life object, the idea was given to me by a great friend Joe Seabuhr. You can find the reference again on my submission page. I just adored the shapes and wanted to execute them in 3D. Doru: Initially my intention was to keep things simple and select submissions from the concept art stage but as I kept developing my idea to have my props tell a story, I started making decisions around that. I quickly noted that almost everyone was using most of the same concepts and it is hard to set myself apart only through technical execution or presentation. I took some concepts from the Prop Design category and using inspiration from historical Japanese items and themes, I started changing the design to try and give it my own twists and my own touch. Aidin: I tried to think of my props as if they were in a video game and are part of a puzzle. Each prop has a riddle that will eventually lead the player to the mini theater show. By solving the masks puzzle, the player can move to the musical instrument, and by playing the mu instrument, he/she can get the key for the Magic Box. I had this idea of creating props in a way that each object not only looks great but also there is a gameplay mechanic behind it. On the other hand, I wanted to see what how much I can push with the textures and complexity of the project in such a short time. 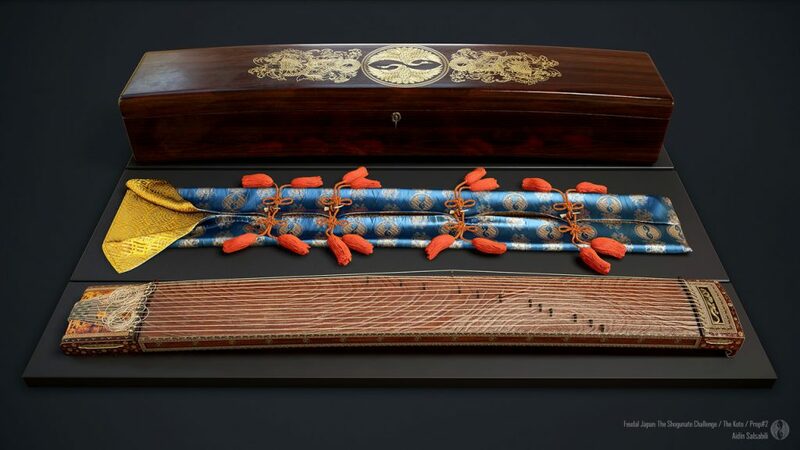 I had many different materials like wood, metal, Ivory, fabric, and other materials and variations. Adam: My strategy for the first prop was to just sit there and force my way through it until it worked – I was honestly stabbing in the dark with aspects of the design until it hit a point I was happy with. I would usually sit for a couple of hours a day just working on the design before even beginning to try and model it properly. The other two were fairly straightforward however. My “strategy” if I had to say I have one is to try and do something on it every day – no matter how small. Doru: My strategy was to use true and tested techniques that I knew well and only experiment in some areas. When sculpting, I tried using alphas for some of the more intricate details to save on time. I gave myself a minimum amount of hours I should work everyday on the props and tried sticking to it. Making design decisions early on and committing to them would have saved me a lot of time but I felt it was worth spending the extra effort to make sure I got the best design that I was able to come up with. Aidin: I always spend 20% of my time of planning and gathering references. The remaining 80% is the implementation and presentation. For this specific challenge, because I had many details for my props, I finished all the high polys first then I moved to low polys and textures. I spent the last week on the presentation. What was the most difficult part of this challenge for you? Adam: Definitely the hardest part of this challenge was the koi-gun – this was one of the first times I’ve designed a prop from my imagination with very little real world reference, and even less fictional references aside from the initial concept. It truly tested my design capabilities. Doru: Finding ideas that truly inspired me and coming up with a style and design of my own that’s different and interesting was the hardest and most time consuming part of the whole challenge. A big chunk of my time was used just coming up with ideas and often these ideas were too big to complete in the time we had, so cutting back and keeping things smaller in scope was not easy. With such a time constraint, it’s good to know your limit but you also always try to make the best piece that you possibly can within the time fram. It’s a hard balance to reach between ambition and realistic expectations. Aidin: I enjoyed everything about this challenge. Every stage from planning and gathering reference and info to implementation was great. Adam: My advice would be try and look outside the box – it sounds like a statement you see all the time, but even if you take somebody else’s concept I think what truly separates you from other submissions is trying to do something unexpected or different. An example from this challenge is I wanted to avoid traditional Japanese designs such as Katanas and Samurai armour. Aidin and Doru also took this mindset and I genuinely think their pieces are some of the most unique from the challenge. The other piece of advice which should always be reiterated is listen to critique – huge parts of this project were influenced by asking professionals and friends for their input as they can see the issues you don’t. I wouldn’t have got where I am without the feedback from some great people. Doru: Don’t be afraid to try new things and don’t be afraid to give the piece your own touch. You might end up with something you wouldn’t have created otherwise and it will probably be something very unique that sets you apart. Be mindful of the time constraints. Planning ahead and avoiding many design changes will save you a lot of time in the end. If you are unsure whether to join in the next challenges because you feel you’re not good enough or won’t have time to finish, I say still go for it! The experience is well worth it. You learn so much, you get to know other artists that are very helpful and supportive! Aidin: It’s tough to have any advice for my fellow artists about ArtStation challenges since I couldn’t really say exactly what judges are looking for. 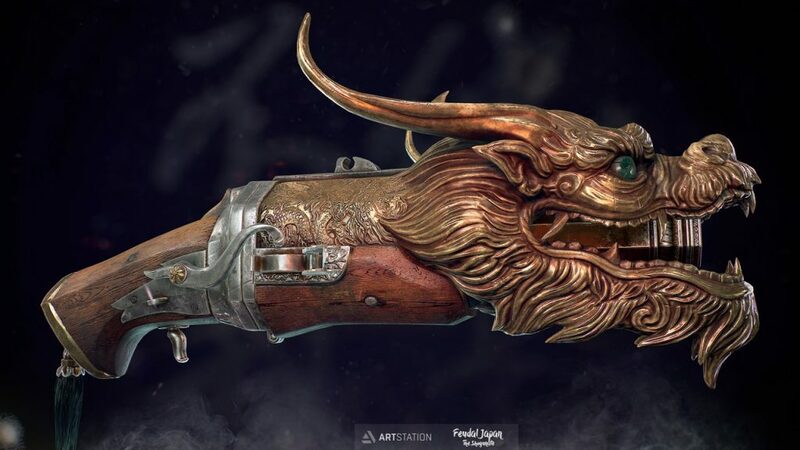 See more Prop Art submissions from the Feudal Japan Challenge.